Habitat for Humanity Jacksonville, Inc. (HabiJax) recently hosted 50 students from various national colleges and universities as part of the Habitat for Humanity Collegiate Challenge. During the first two weeks of March, HabiJax hosted students from Community College of Philadelphia; Simpson College; University of North Carolina – Chapel Hill; University of Notre Dame; and Vanderbilt University. Each student made a small financial donation and contributed volunteer hours building homes on the construction site. In partnership with Riverside Presbyterian Church, HabiJax provided housing, meals, refreshments, construction skills training and a safe, fun experience throughout the Collegiate Challenge. 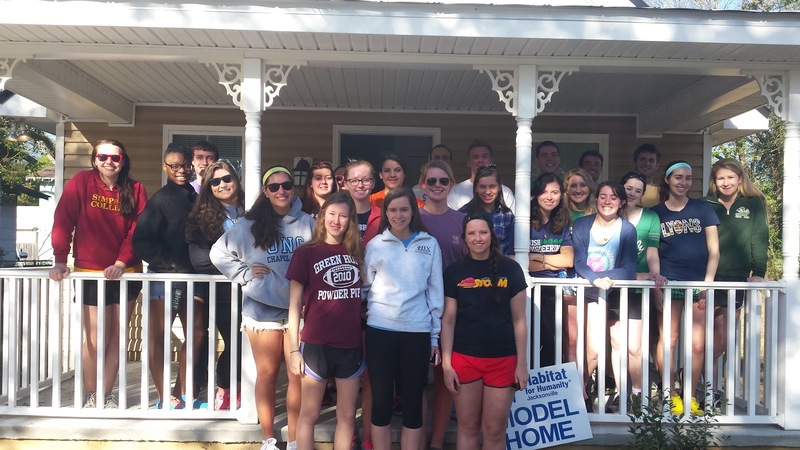 Now it its 25th year, Collegiate Challenge serves as an alternative spring break trip for energetic volunteers helping to further Habitat for Humanity’s mission of a world where everyone has a decent place to live. Since Collegiate Challenge began, more than 208,000 students have spent their spring break volunteering across the country donating more than $20 million to Habitat affiliates nationwide.